A simply rack. All the fittings necessary to fit it to my Ridgeback were included. Had to fettle my front mud guard to fit the rack but this is not the racks fault. Time will tell about the durability, but it doesn't look like this will be an issue. Would these fit a 1940 Robin Hood ? Would these fit a vintage 3 gear British bike (Robin Hood) , with roller brakes/rod brakes ? We would need to see the bike in person to assess fitting, a trip to your local bike shop may be helpful. Can I use this if fork has no eyelets midway? The bike is a hybrid with 28 x 1 3/8 tyres and only eyelets close to the front axle. This appears to need eyelets midway down the fork? Will Ortlieb Spert Packer Classic front panniers fit on this rack? Thanks. Yes these should fit fine. The height of this rack is 430mm, The length from front to back is 274mm and the width of the rack is 130mm. What Is The Distance From The Lower To Upper Mounting Hole? This distance between the upper and lower mounting points is 165mm. Could You Please Tell Me The Measurement Between The Main Mounting Legs On This Rack? When relaxed the lower mounting points are 115mm apart, there is plenty of give in the legs to allow for a slightly smaller or larger spacing. Will This Work With A 700C Wheel On A Classical Ladies' Bike (Make Probike)? Will this work with a 700c wheel on a classical ladies' bike. This will indeed be fine for use with a 700C wheel, how well it will fit on your bike will depend competently on the fittings on your forks. Can you please tell me what the measurement is for wheel clearance from the mounting bolt holes to the underside of the platform. The distance from the centre of the mounting hole to the underside of the rack is 385mm. Hello! Will This Rack Work With The Thorn Audax Fork? Although it would only require a small amount of bending to get this rack to fit to the Audax forks, the Thorn bikes team would not recommend fitting it to our forks. This is because these forks have only been designed to be used with low riders and are not designed to take the weight of luggage above the wheel. 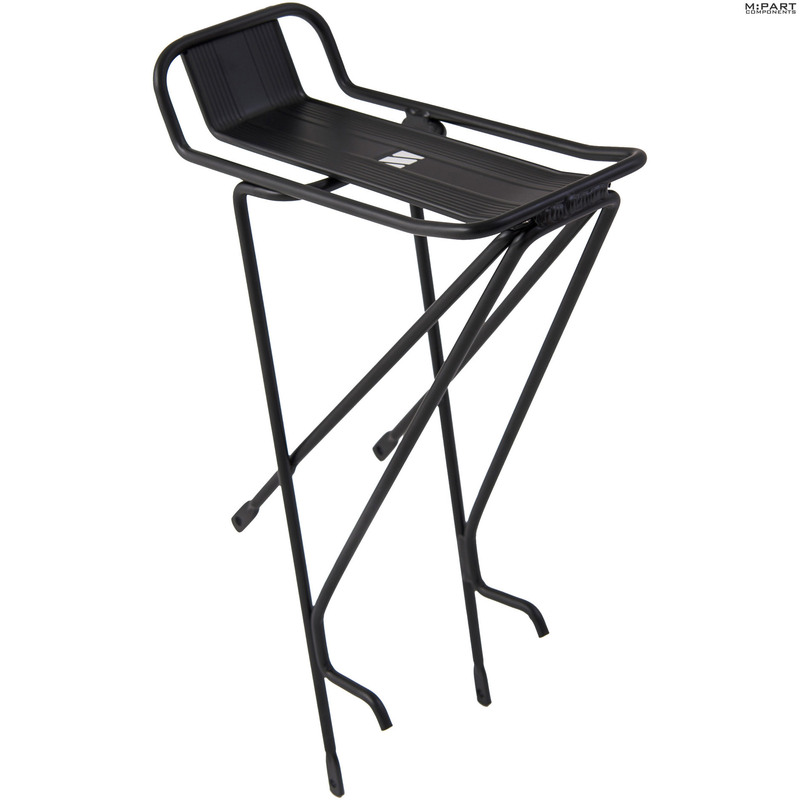 This is an Alloy rack and has a recommended carrying capacity of 10Kg.